ColorNavigator 7 includes multiple color modes so you can choose the one that matches your field's target values. 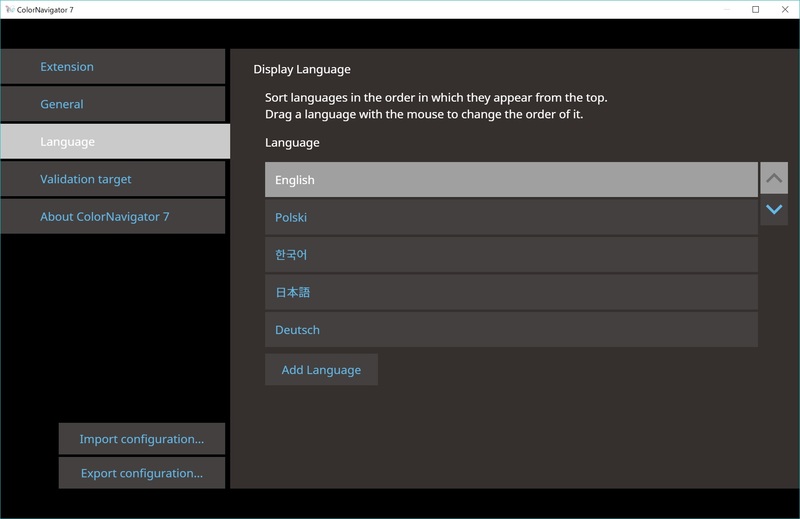 Furthermore, the color mode list is populated according to the monitor's OSD menu so you can rest assured that all possible options are covered. 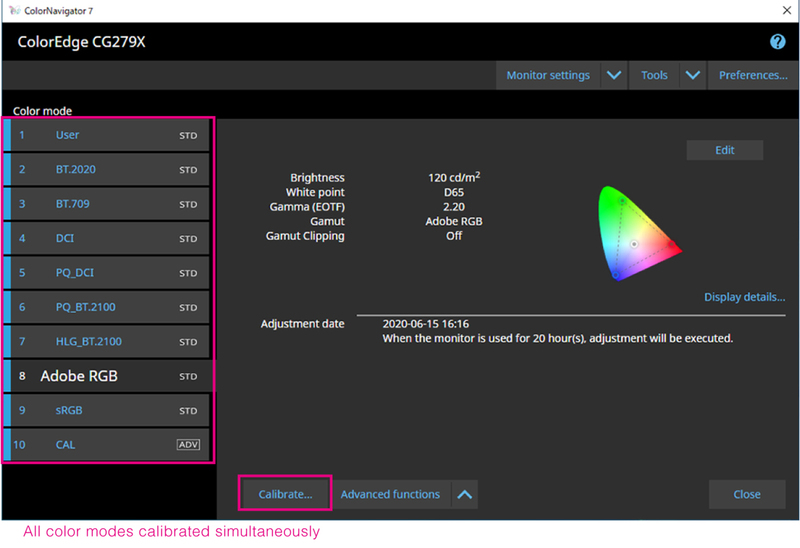 New with ColorNavigator 7 is the ability to calibrate every color mode (Standard Mode) simultaneously so you do not have to spend time managing each one individually. This saves time and ensures your screen remains accurate no matter which color mode you work in. 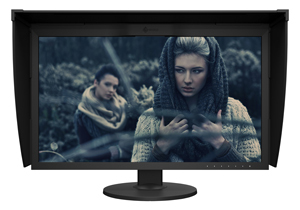 A monitor needs to be recalibrated at regular intervals to maintain color accuracy. With ColorNavigator 7 you can schedule the monitor to automatically recalibrate at a specific time or at regular intervals, even if the monitor is switched off. A reminder will also appear after a certain number of user-determined hours so you can be sure that your monitor maintains color consistency over time. 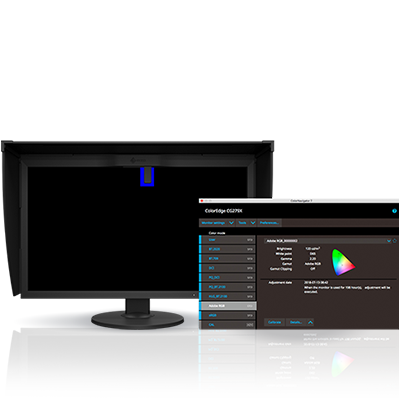 ColorNavigator 7 can create emulation data from the 3D LUT of the video content used in the color grading system for matching the look of the film on the monitor. Supported by the CG Series only. Not applicable to the CG2730 or CG2420. 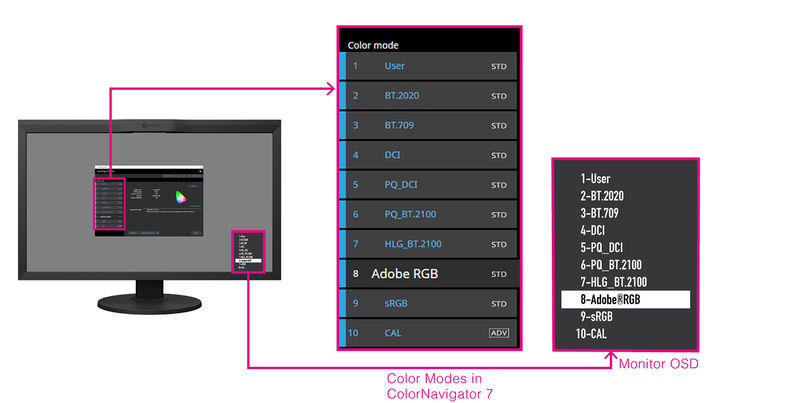 With ColorNavigator 7, calibration information carried out by the administrator is saved to each ColorEdge monitor instead of the operating system. This means that users do not need to recalibrate the monitor, even when using a different PC. Sometimes due to variations in output from different printers or the special requirements of a project, it is necessary to have fine-tuned control over specific calibration targets. 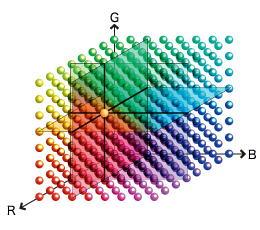 ColorNavigator 7 allows you to easily adjust the print proofing target's hue and saturation for all six primary and secondary colors (red, green, blue, cyan, magenta, yellow, as well as grayscale balance, to achieve the closest possible visual match. ColorNavigator 7 can be run in English, German, or Japanese by default. Users can also download language packs to run the software in other languages. New language packs will continue to be added to support users worldwide. Visit the download page for currently available language packs. CX270, CX240, CS230 - Color Mode selection not available. - Target list is only available in CAL mode (ADV). - Color Mode selection not available. - Emulation, including LogView LUT, is not available. Profile emulation and device emulation function not available with ColorNavigator 7.
i1 Monitor (XRGA) Yes Not Supported - Ambient light adjustment is not available with the i1Monitor or i1 Display. - When measuring the CG3145 using i1 Pro 2, it is necessary to place the device away from the panel surface. ColorMunki PHOTO Yes Not Supported ColorMunki Display and ColorMunki Smile are not supported. Spyder4 Yes Not Supported - Ambient light adjustment and gray balance prioritizing function are not available. Built-In Calibration Sensor Yes Not Available Not Available - Ambient light adjustment, paper white measurement and gray balance prioritizing function are not available. K-10 Yes Yes Ambient light adjustment and paper white measurement are not available. PR-655 Yes Yes Ambient light adjustment and paper white measurement are not available. CS-2000 Yes Yes - Not compatible with Mac OS X. - Ambient light adjustment and paper white measurement are not available. CR-100 Yes Yes - Ambient light adjustment is not available. ColorNavigator 7 is available as a free download here. This booklet briefly introduces ColorNavigator 7 color management software, including an easy 3 step calibration process.